Strata Manufacturing, the aircraft parts maker owned by Abu Dhabi’s Mubadala Investment Company, has completed the industrialisation of the Airbus A350-900 elongated Flap Support Fairings (eFSFs) modification for Belgian aerospace company, Sociétés Anonyme Belge de Constructions Aéronautiques (Sabca). 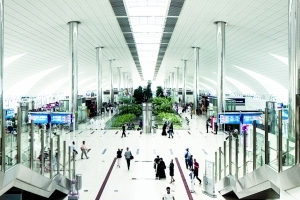 The GCC aviation sector will continue to ride high due to large airport construction projects with the estimated total value of 95 listed projects reaching $49 billion (Dh180 billion) in May 2018, according to BNC Network, a leading project intelligence provider in the Middle East and North Africa (Mena) region. Bahrain Airport Company (BAC), the operator and managing body of the kingdom’s airport, has achieved a net profit of BD12.9 million ($34 million) for 2017, compared to BD7.6 million ($20 million) the previous year, reported BNA. 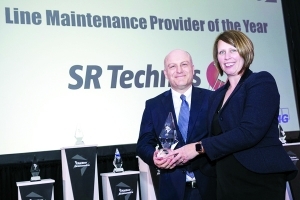 SR Technics, a leading maintenance, repair and overhaul (MRO) service provider with major presence in the UAE, has won this year’s Line Maintenance Provider Award at the Airline Economics’ Aviation 100 MRO Global Awards in Dublin, Ireland. Gulf Air, Bahrain’s national carrier, and Tamkeen have signed a joint cooperation agreement aimed at enhancing opportunities for the training and employment of Bahrainis within the kingdom’s aviation sector. 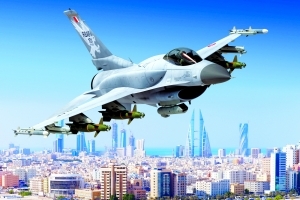 US-based Lockheed Martin, a global security and aerospace company, has received a $1.2 billion contract from the US government to produce 16 new F-16 Block 70 aircraft for the Royal Bahraini Air Force. 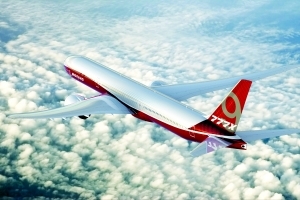 Driven by greater demand for new technologies, mainly VoIP, remote towers, predictive technologies, and automation systems, the global air traffic management (ATM) market is expected to reach $5.21 billion by 2025, a report said.